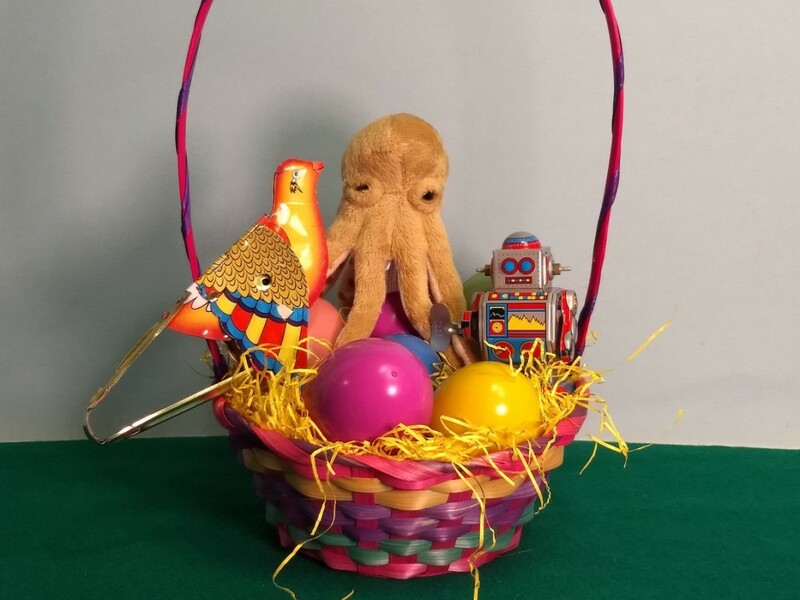 This Easter, the Easter Bunny brings you a basket filled with marvels from the world of Steampunk. 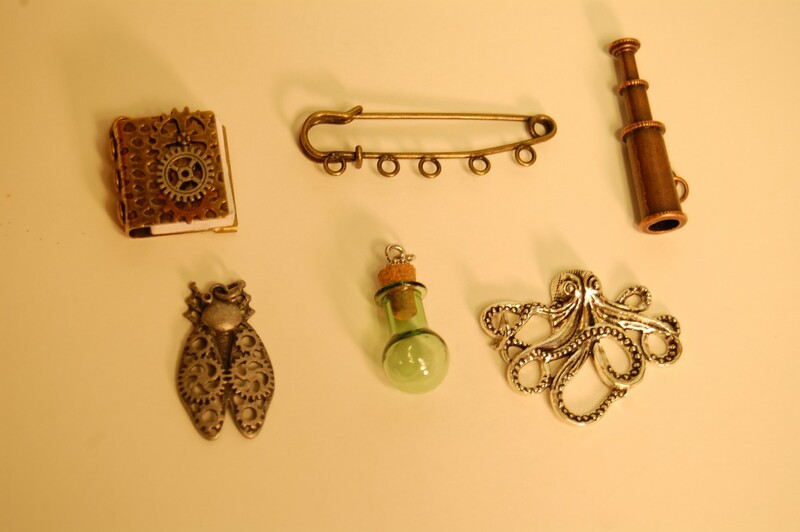 In each egg you will find fun steampunk items-- a geared up insect, a tiny, green glass bottle to store your absinthe, a metal book with real pages, a miniature telescope, a decorative octopus charm. Wear them on your derby or sash using the included display pin. Or wear them separately on your own chain or ribbon. Note: This basket contains small parts and charms as well as reproduction tin toys. 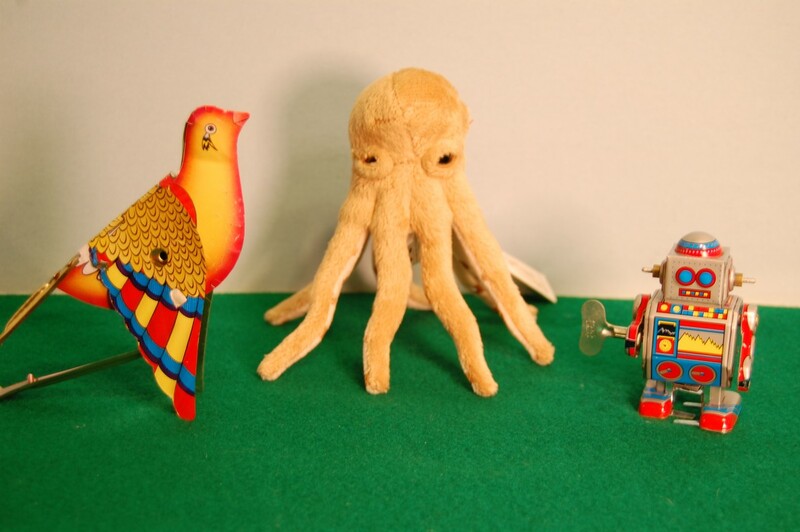 It is not appropriate for young children. If you are buying for a child, may we recommend one of our other baskets or we can make a custom one for you.